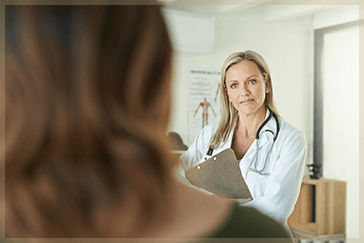 The female board-certified physicians at Mission Obstetrics and Gynecology in Warren, Michigan have the expertise and experience that you can trust for state-of-the-art surgical procedures. We will listen to your concerns and explain your treatment in terms that you can understand. As women, we know that gynecology surgery may seem daunting, and we are here to provide you with gentle support. At our practice, your health and well-being are our number one concern. Our doctors can perform a number of procedures here in the convenience of our office, while others are performed at the hospital, either as inpatient or outpatient surgery. Any procedure done in the office can also be done at the hospital at your request. Dilation and curettage (D&C) is a common minor surgical procedure that is used to remove the uterine lining. A D&C may be necessary to help diagnose a problem, treat heavy bleeding, or remove fetal and placental tissue following a miscarriage. D&Cs are most frequently outpatient procedures with a short recovery time. A hysteroscopy may be both a diagnostic and treatment tool for uterine conditions, such as polyps, bleeding, fibroids, and other abnormalities. The procedure uses a hysteroscope, which is a thin tube with a light and a viewing instrument. Thin surgical instruments can be used with the hysteroscope to remove small amounts of tissue from inside the uterus. Hysteroscopy is just one of the advanced gynecological services offered at Mission Obstetrics and Gynecology. A hysterectomy may be recommended to treat cancer or uterine conditions that do not respond to other treatments. A hysterectomy is a surgical procedure that removes part of or the entire uterus. There are various surgical approaches for hysterectomy, including vaginal, abdominal, laparoscopic, and robotic methods. The well-qualified female doctors at Mission Obstetrics and Gynecology will discuss appropriate options with you. The female doctors at Mission Obstetrics and Gynecology have the expertise and credentials you can trust to perform laparoscopic gynecologic surgery. A laparoscopy is a minimally invasive procedure that is used to diagnose, and in some cases, treat, gynecological disorders. Laparoscopic surgery may be performed on an outpatient basis or require a short inpatient stay. Oophorectomy is a surgical procedure to remove one or both ovaries. It may be used to remove cancerous ovaries, large cysts or abscesses, and endometriosis. Oophorectomy may be performed at the same time as surgery to remove the uterus (hysterectomy) or a fallopian tube (salpingo-oophorectomy). Tubal ligation is a form of birth control commonly known as “tying the tubes.” Tubal ligation is usually performed as an outpatient procedure, but it can be performed immediately following a Cesarean section or vaginal childbirth. Ask the female specialists at Mission Obstetrics and Gynecology if tubal ligation is right for you. The procedure can be done both laparoscopically and vaginally. NovaSure® endometrial ablation is a quick, safe, and simple treatment for abnormally heavy or lengthy periods (menorrhagia). NovaSure is a one-time treatment that gently removes the uterine lining. No incisions or stitches are needed. If you have completed childbearing or are sure that you never want to have children, ask the friendly doctors at Mission Obstetrics and Gynecology if NovaSure is right for you. Don’t trust your health to just anyone. Turn to the gynecologists at Mission OB GYN for comprehensive women’s health care and surgical expertise. Call (586) 574-1313 for an appointment or use our online form.